According to a 2017 study by Schroders Global Investor, the main topic of investing that people would like to learn more about is ‘investing for positive potential impact’. Investing for positive impact, or impact investing, is not entirely new but it’s intention as an investment strategy has certainly been publicised much more in the past few years, leading to an increased demand from investors everywhere who want more for their money. The Global Impact Investing Network report an estimated spend of over $26 billion across over 9,500 impact investments in 2017. Gone are the days when the only objective of investing was for financial return, there’s now a growing trend in investors looking to use their money to do good, both socially and environmentally, without compromising their financial goals. The options available to this emerging cluster of impact investors are widening rapidly too, with more and more opportunities arising allowing investors to place their money into funds which invest with their specific intentions in mind. These intention-based funds are often referred to as thematic or mission-led funds, and allow investors the luxury of knowing that their money is being intelligently placed by investment professionals into a diversified well-managed portfolio with the intention of delivering the blended returns they desire. 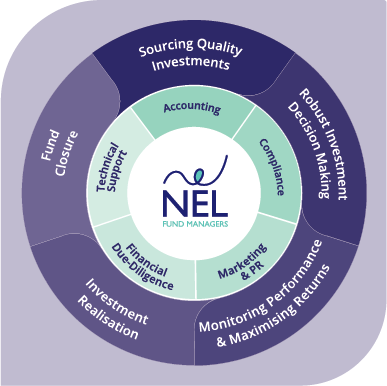 If you’d like to speak to us to discuss your unique requirements as an investor and explore ways in which we can work with you to achieve your impact objectives, please call us on 0345 369 7007 or visit our website for more info.